Whether it’s your first traveling nurse assignment, your 20th or even somewhere in between, you never really get used to being away from home for an extended period of time. If you’re used to being on the road, it may seem second nature to leave family and friends behind you in order to have a satisfying and adventurous career. But even the strongest of us can get a little homesick. Don’t suffer through it. 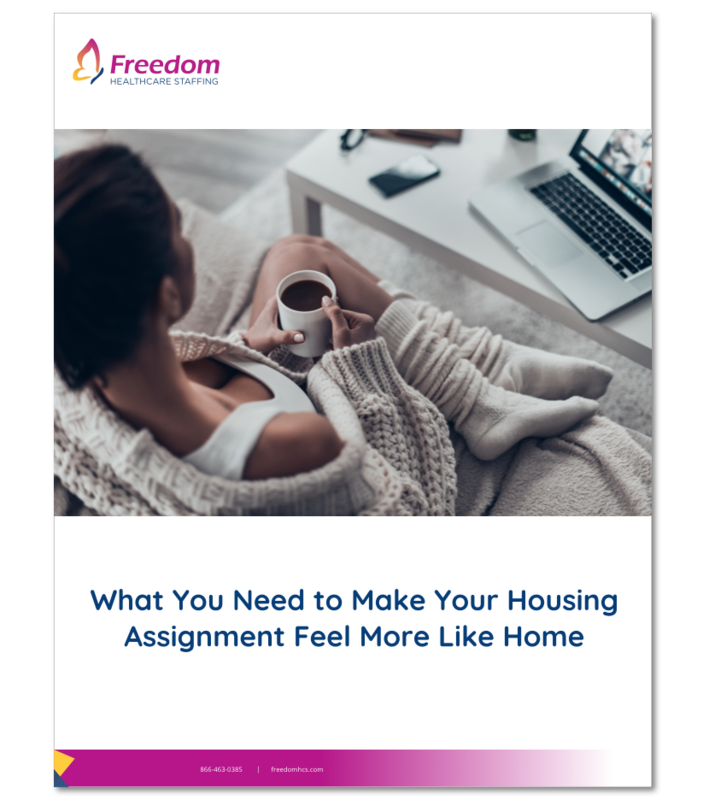 Your housing assignments are temporary, but you don’t have to live that way. Instead, bring things with you that can help make your new place feel more like home. Not sure what that means? Take a look by downloading your own copy of our Travel Nurse Housing Checklist! I’m ready to get organized.